There are few musicians in the world who can send thousands of fans into a frenzy with one strum of their guitar. Rock n’ roll icon Bruce Springsteen better known as “The Boss,” is one of those musicians. During his show at Nationals Park Sept. 1, the Boss played for approximately three hours and 45 minutes, performing 34 songs, outlasting even the youngest fans in the ballpark. Most artists need a break after two or three hours performing the way Springsteen did, with no pauses in between songs, but he played each song with more energy than the last. His vigor could be felt throughout the entire stadium. At the end of each song, he immediately continued, his raucous cheer of “one, two, three, four!” throwing the crowd into madness. Although Springsteen was clearly the center of the show, his supporting cast, the E Street Band, also performed incredibly well. Jake Clemons, nephew of the late E Street Band member Clarence Clemons, complemented Springsteen with his high energy saxophone solos. 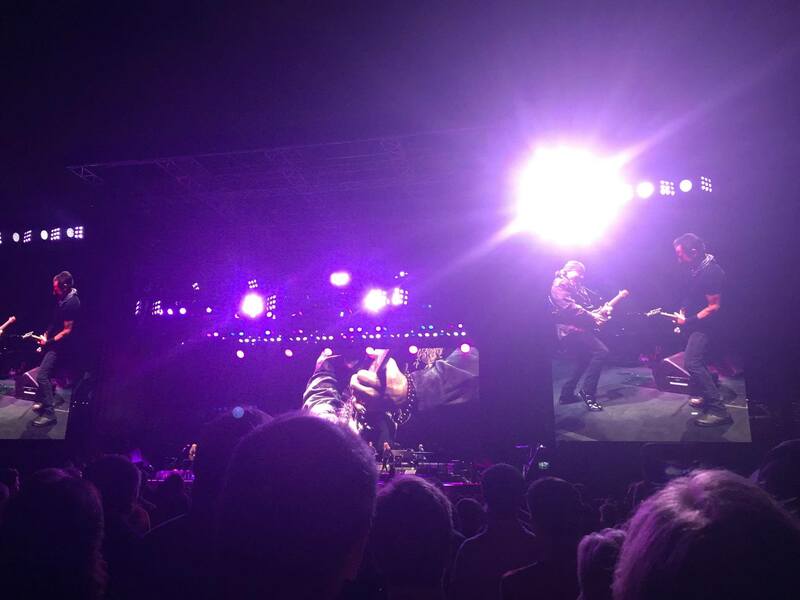 Other longtime members, guitarist Steven Van Zandt and drummer Max Weinberg, fed off of the Boss’s energy and seemed to revel in the outpouring of love from the capacity crowd. With periodic rain throughout the evening, the band seemed to increase their level of playing and the crowd’s intensity, determined not to let anything get in the way of this rock show. One unique feature of this concert was the Boss’s willingness to take requests from audience signs, consequently adding fan favorites “Kitty’s Back,” “41 Shots,” and “Trapped,” to the night’s set list. Visually, the show was magnificent with the staging, lights, and large screens adding to the concert experience for fans on the field all the way to the upper deck. Towards the end of the show, the stadium lights were turned on during the epic hit “Born to Run.” This created a more personal effect like everyone in the crowd was on the stage with the Boss pouring whatever energy they had left into every word of the classic rock hit.